For many years, the ready availability of packages of bees meant that they were the most common and recommended way to start as a beekeeper. In our lesson about installing a package of bees we looked at this option in some detail. But more recently, nucleus colonies – generally shortened to “nucs” – have found favor. With the exception of price, there are many who believe they offer a better option for the beginner beekeeper Here we look at why. One of the key characteristics of a package of bees is that the queen comes from a different line from the rest of the bees in the package. This has potential implications regarding her potentially being rejected when introduced into the hive. This is why the use of a queen cage is common in this scenario, with candy at one end to buy the queen time, as the colony gets used to her pheromones. Further, the colony really hasn’t established itself yet. There are no eggs, larvae or pupae. In addition, the population of worker bees won’t necessarily represent all the age-based based roles. In short, a package of bees is a true starter, not just for the beekeeper but for the bees too! A nuc is quite different. It has a small number of frames (2-5, with 5 being a typical option) and these frames are taken from the nuc and placed directly into the hive. In a five-frame configuration, three frames contain brood, of all stages, while the outer two frames normally store honey and pollen. The box in which the frames are transported is often just a cardboard box, though purpose-built wooden nucs are common and more robust. Although technically not a requirement, most nucs come with a queen. The nuc has workers and drones usually born from the queen herself. This is an important consideration, since there is no need for the workers to acclimatize to her – she is their mother! Additionally, the nuc has bees in all phases of life, including newly laid eggs (the queen will even continue laying eggs while the nuc is being transported), larvae and pupae. The adult worker bees represent all the roles, from nurse bees, cleaners, guard bees, forager and everything in between. Quite simply, a nuc is a small version of a fully established colony. What are the advantages over a package? The workers and drones are already familiar with the queen i.e. no “acclimatization” process is necessary. Not really…but there’s one area where a nuc is less flexible than a package. With a package, the bees are placed into the hive, from the package. The new hive can be of any type – Langstroth, Top Bar or Warre. Since the bees are completely removed from the package when they are placed in their hive, you have complete freedom as to the type of hive you use. 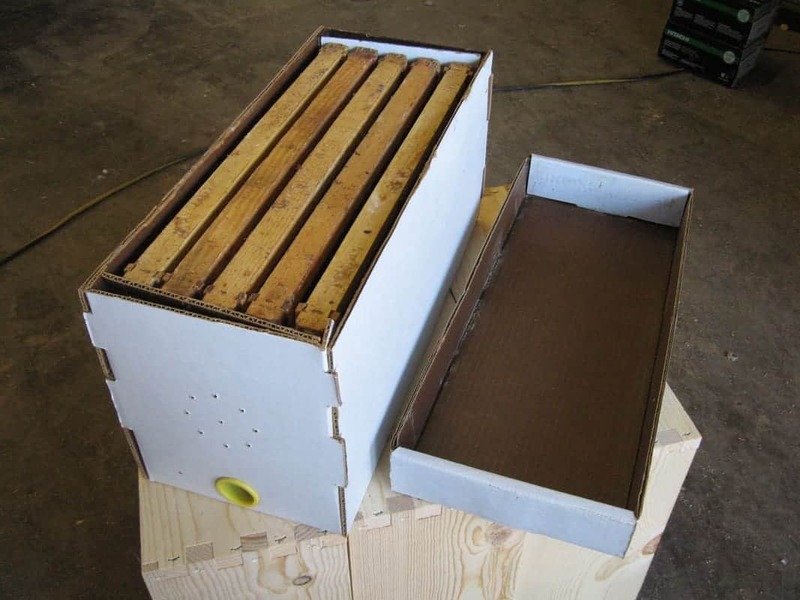 With a nuc, you use the bees and the frames that came with the nuc. As such, you take the frames and place them into a Langstroth box and you are done! Getting from a nuc to a Warre or Top Bar is a different challenge. It can be done but is not a straightforward process. As such, the new beekeeper should realistically only consider a nuc if a Langstroth is the beehive of choice. Nucs are readily available from a number of sources, including bee suppliers who will also sell packages. Another choice is a local beekeeping club, where individual members may be open to selling a nuc. How much will a nuc cost? Nucs are more expensive than a package, running from around $120 to $200. 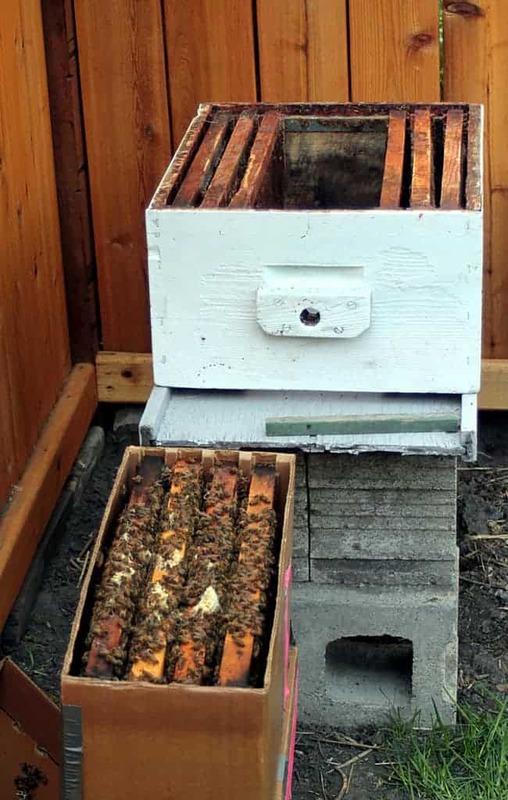 When installing a nuc, you are essentially taking a mini-hive – frames included – and placing it in a full-sized hive box. So the process is rather simple and doesn’t include any of the queen cage issues associated with a package. Let’s assume you are installing your nuc into a 10 frame Langstroth. Nucs normally come with deep frames, so you will need a deep box. Remove about six of the frames from the box so you have some space for the frames you will pull from the nuc. The frames you remove should be from the center of the box. Bees generally “work out” from the center frames to those on the outside. You will be inserting a fully established colony, so will make sure these go into the center of the box. Even though the colony is established, it is still numerically small. So be sure to install an entrance reducer for a while, to give the colony a chance to repel robbers while it is still a young colony. 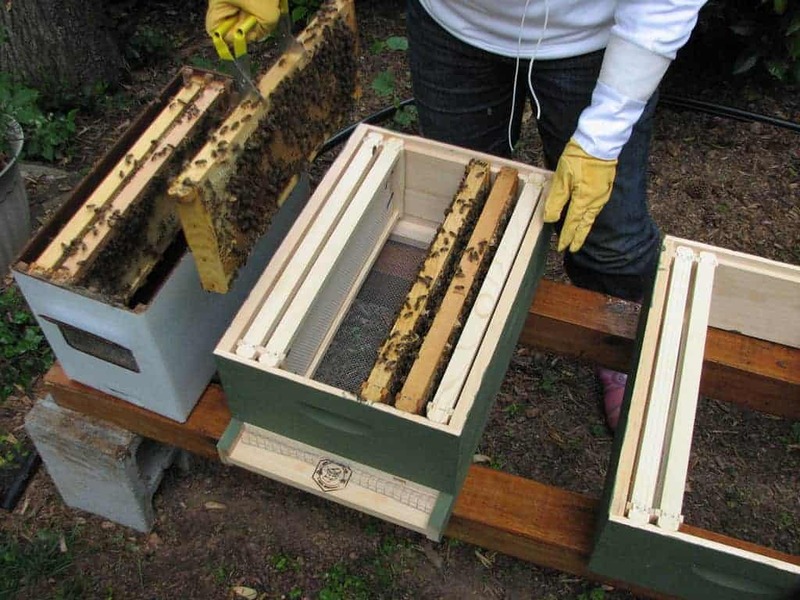 Next, make sure your nuc is placed alongside the beehive, remove the top cover (if one exists on your particular type of nuc) and give the nuc a quick pass over with your smoker, just to calm down your bees. Starting with one of the outer frames in the nuc, gently lift it up (you may have to use a hive tool if there is propolis involved). Keep it over the nuc as much as possible and gently move it over the top of the beehive. Insert the frame, adjacent to one of the empty frames left in the hive. While making sure the frames remain in the same order, move over the remaining frames. At the end of this process, all the frames from the nuc will be in the beehive. Add in however many frames you need to ensure the full count (8 or 10 frames, depending on your box size). For example, if this is a 10 frame box, you have a 5 frame nuc and you had removed 6 from the box, you will need to add just one back to bring it back to 10 frames. Although the colony is established and has some honey reserves, it may require a little help until its foragers get the production line going. Their ability to add to those honey reserves depends on many factors, such as the weather and if there is a honey flow. So, adding a feeder may well be justified. A feeder will help them get established in their new home, with a light sugar syrup mixture. This can be left in place for a while until the bees eventually stop taking food. Here’s a video that shows just how simple this can be (this one involves an 8 frame hive and an awesome pair of boots!). Suggestion – in cooler climates use a follower board on each side of the nucs frames for a wee bit to allow time for adaptation to the new surroundings. Move the followers over a frame or two as the bees are able to keep larger spaces warm. Followers can be made from foam insulation to simply some heavy cardboard.